The Wright Brothers, Kelly Johnson, Willy Messerschmitt, Igor Sikorsky, R.J. Mitchell, Burt Rutan. 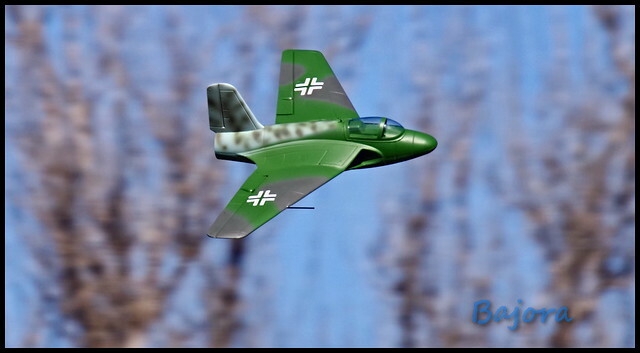 Not every contributor to aviation history has enjoyed the same notoriety as these innovators, but Motion RC and Freewing are proud to celebrate the engineer Alexander Lippisch, the inventor of the popular Me-163 Komet. After WWII, Lippisch was brought to the USA as part of Operation Paperclip, and his work eventually contributed to aircraft such as the F-105 Thunderchief. We are proud to recognize Lippisch and the many other lesser known inventors whose work influenced many popular aircraft throughout recent generations, by producing the world’s first RC version of the Lippisch P.15 flying wing concept jet! 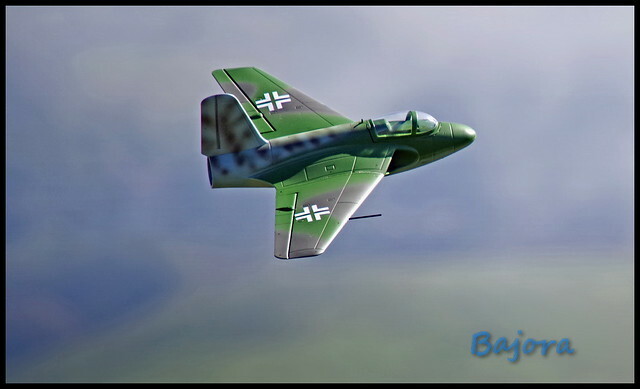 Envisioned by Lippisch in 1944 as a jet powered version of his innovative rocket propelled Me-163 Komet, the P.15 would have taken the Komet concept even further, utilizing a blend of all-new and reused parts from the He-162 and Bf-109. Repurposing the Bf-109’s landing gear allowed the P.15 to take off and land conventionally, compared to the rocket sled and skid landed Me-163. Optimized for affordability and easy flight behavior, our intent in developing Freewing’s 64mm ParkJet series also seeks to illuminate rare and overlooked aircraft, and the P.15 is our first in this effort! Join us in celebrating Alexander Lippisch and his innovative P.15 flying wing! The Freewing 64mm P.15 continues the ParkJet series following the incredibly popular F-8 Crusader and F-105 Thunderchief. After two American fighter jets, we’re changing things up to spotlight the excellent characteristics of a conceptual flying wing from the Second World War. Compared to the F-8 and F-105, the P.15 is even more stable, more potentially acrobatic, and more efficient. In ideal conditions, its low wing loading can allow for ~50% longer flight times on the same battery with throttle management compared to the “turn and burn” F-8 and F-105. Aside from having a very low stall speed which will appeal to beginner pilots looking to fly slower and learn to fly an EDF, the P.15 also has lots of high speed potential for advanced pilots who are more comfortable with lighting fast rolls, snaps, and tumbles! 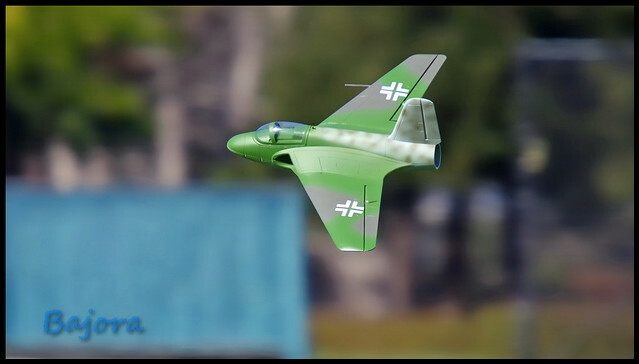 We are thrilled with the wide flight envelope of this model and its perfect marriage balancing fidelity to a scale jet’s appearance and an RC flying wing’s all-around “easy factor”. For novice pilots wanting to learn how an EDF jet handles versus a propeller driven model aircraft of a similar size, the Freewing 64mm P.15 makes an ideal first hand launch EDF. We recommend a strong toss at 45 degrees, into the wind, at full throttle. Assembly is straightforward, and uses only two servos to minimize weight, complexity, and cost. Like the F-8 Crusader and F-105D Thunderchief, the Lippisch P.15 is is configured to be flown using a radio that supports Elevon mixing. The battery bay can also accommodate a small gyro for additional stabilization if desired. We recommend the manual’s Low Rate throws for your maiden flight. The roll rate can be very quick on High Rate, so the contrast between the light gray underside and the dark green camouflage topside helps with orientation! Powered by an efficient 64mm 5 blade EDF fan unit, 30A ESC and 2627-4500kv brushless outrunner motor, the Freewing 64mm P.15 reaches a top speed of 116kph/72mph using a single inexpensive Admiral 3s 1100-2200 lipo battery with XT60 connector. We prefer the Admiral 3s 1800mAh for the best balance of speed, weight, and flight duration. While designed with simplified flight control surfaces and intended for hand launches and belly landing on grass runways, an optional landing gear set is sold separately for steerable operation on paved runways. Visit the Official Freewing 64mm Lippisch P.15 Discussion Threadon HobbySquawk.com for additional photos, videos, reviews, and customer Q&A. Listen to our podcast with RC Afterhours at RCafterhours.com, Sunday 3/11/2018. This one is a fun flyer. Those who have flown it will chime in. While it's a scale model, I personally think sport colors would be neat on this wing. Bold yellow with black pin stripes, etc. Show us what you can do! The Hun in the Sun. WoW! Very cool! looks fast were I fly there is alot of green, so let the creative juices flow deff need a new paint job on some areas Yes I'm down with yellow for starts. Happy flying Goose. I like flying wings, I like unusual subjects. I've pulled the trigger. I also like fast. I'm sure I can squeeze a 4S in there,( I got a 4S 2200 in a Mig-15) so I also ordered this. I have flown all three of the new FW 64mm series ... if you like to go fast, this little bugger will have you grinning. I agree with the colour idea Alpha. I recently flew its propped cousin and wanted some more visual cues. Order 306950 with an extra battery! Should be fun! I have one inbound...can't let Ryan have all the fun. Nice choice of subjects Alpha. I was pretty sure I didn't need another 64mm EDF. Well, guess I was wrong. I do now . The perfect complement to my Durafly Me-163 fleet....trigger pulled! And...a wonderful canvas for a custom "What If" German WWII paint scheme. Airbrush is clean and ready. Where's the landing gear shown in the manual? Couldn't resist - I'm in! To be clear, the pictures shown on our website and about in Post #1-#3, and also all photos by Bajora and Pilot Ryan, are of the FACTORY PAINT JOB. Some may think it was airbrushed by me, but in fact we've trained Freewing's painters to achieve a much more subtle effect than they've done in previous mottling. Every aircraft is mottled by hand, so each one is unique. Below are pictures of the sample I airbrushed to use as a training reference for Freewing's painters. I think they did a good job, considering the limitations of their equipment (they're not shooting paint as thin as I am through as tiny a needle as I am). Tonight I threw on a yellow/red band near the tail and dressed up the backend a little. It's a fast ripper, so I'll probably paint a red stripe along the underside, or maybe along the entire underside wing, like the standout Dora scheme (see Alfa Models). How is the performance with the fixed landing gear attached? As much as I love the larger models, its nice to see smaller jets being released. The J-power line was always a favorite of mine, and I recently revitalized my T-45 in the black centennial scheme. Its nice to know there is a variety of planes available now through motion, and that I can get a nice looking jet that doesn't require me to drive an hour to my club with a large runway. Definitely thinking of picking this one up, though very curious regarding the landing gear flight characteristics. I'm thinking yellow with black tiger stripes. Mine has already shipped! Way to go Motion!